There is nothing more exciting than having a summer BBQ party in your backyard or warming up your body with the entire family around a fire pit in winter. That is why a fire pit can be a great addition for your backyard. Fire pit can be a great indoor or outdoor decoration. It’s also easy to build. You can build your own gas fire pit table for your living room or build an in ground or above ground fire pit for your backyard from cinder blocks or stones. If you want to build your own fire pit but completely have no idea what kind of fire pit you should create and where to start, this article may give you an idea. We have gathered 30 DIY indoor and outdoor fire pit ideas you should take a look. Curious already? Let’s scroll down. Building a fire pit is not expensive. You can use cinder block to build a small fire pit in your backyard. You can also build a cinder block bench near the fire pit. It is gonna be a nice place to have an intimate chit chat with your bestfriends in the summer night, while having a BBQ party. Compared to the previous idea, this fire pit idea requires more crafting skill. But, if you have the skill and can find the materials, why don’t try building a super unique fire pit? 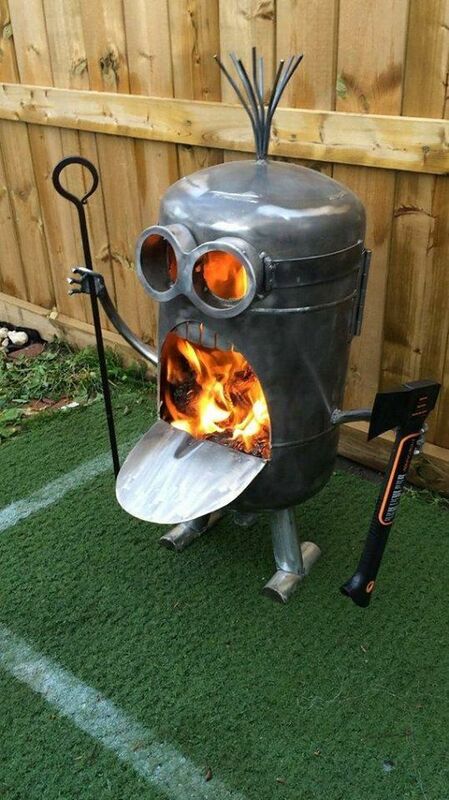 Such as this unique character fire pit. It is not only cool, but also portable. So, you can move it wherever you want. 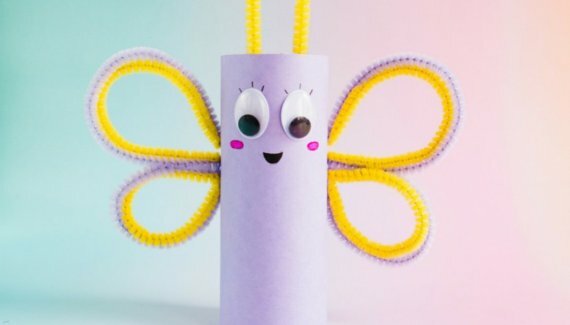 Do you think you should try this idea? Who says fire pit should always be big? You can build a small in ground fire pit in the backyard. All you need is just a spade and some bricks or cinder blocks. Dig a hole in your backyard, and begin creating your fire pit. It is so simple and almost effortless. So, do you have the needed materials? You can build your fire pit now. Fire pit is not only a perfect outdoor decoration, but also a great indoor decoration as well. Do you want to have a cool fire pit table? Actually, you can make it yourself. It is not gonna be an easy job, but if you have some woodworking and metalworking skills, you can build your own fire pit table. It is gonna be fun since it needs combination of several skills at the same time. So, do you think you are gonna try it? If you have a wide backyard and a big budget, building a patio can be a great idea for you. It’s gonna be a great place to have an intimate chat with family or friends. You can add an outdoor kitchen island or BBQ grill in the patio. And the most important thing is, building a patio fire pit. Then you can have a S’mores party outside. Sounds like fun, right? Do you think it’s gonna be great for your backyard? 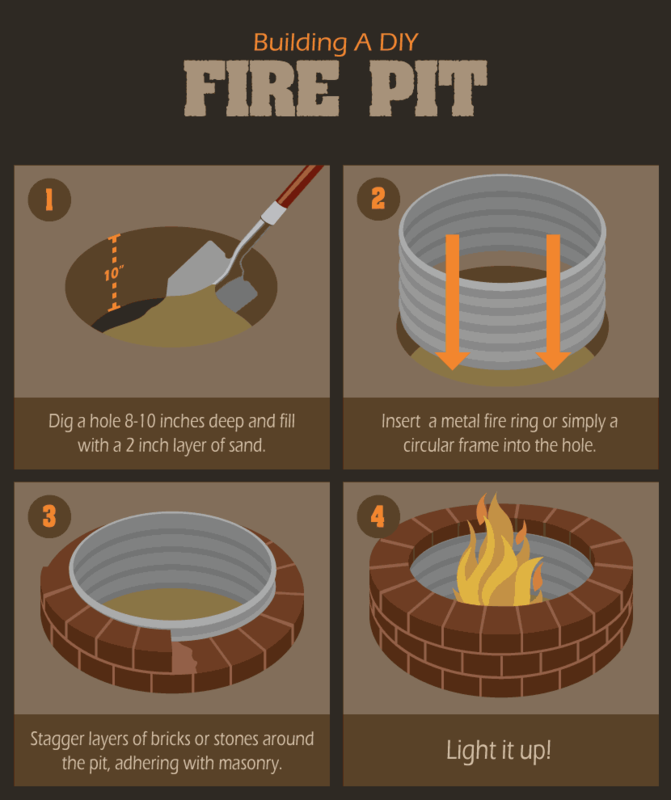 Build your own in ground fire pit by using a metal barrel. You can add some chairs or bench near the fire pit. It’s gonna be a nice place to warm yourself during winter or summer night. If your backyard is wide enough, you can do camping with your kids and have a BBQ party or S’mores party. There are many materials you can use to build an in ground fire pit. A metal barrel, wall bricks, or cinder blocks. You can choose on of these materials and build your own fire pit almost effortlessly. It’s gonna be a nice place to gather with the family or friends, have a little intimate talk, while enjoying BBQ or burning marshmallows. 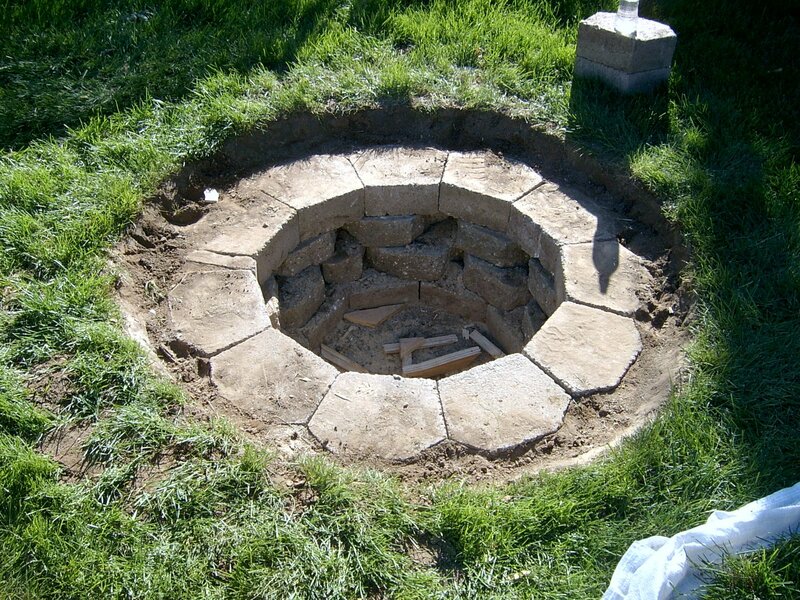 Do you think you should try creating an in ground fire pit? Completely don’t have any idea how to start building a fire pit? Here is the tutorial for you. You are going yo need a metal ring fire or a metal barrel, bricks, and cement. Firsy of all, you need to dig a hole and fill it with sand. Don’t forget to consider the diameter of the metal ring. Then insert the metal ring into the hole and build layers of bricks around it. It’s easier than you think right? You can replace the bricks with stones or cinder blocks if you want. 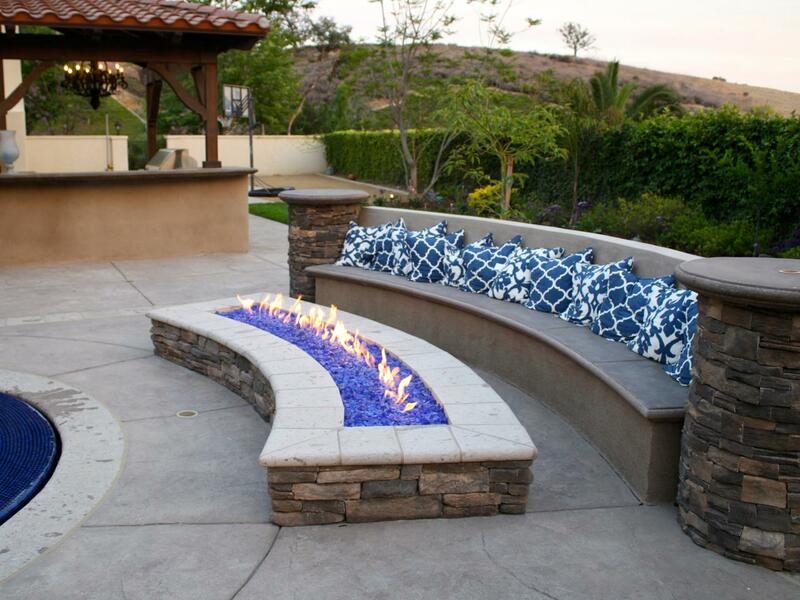 \Not only a built-in fire pit, portable fire pit also will be a nice idea for your patio. You can move it wherever you want. 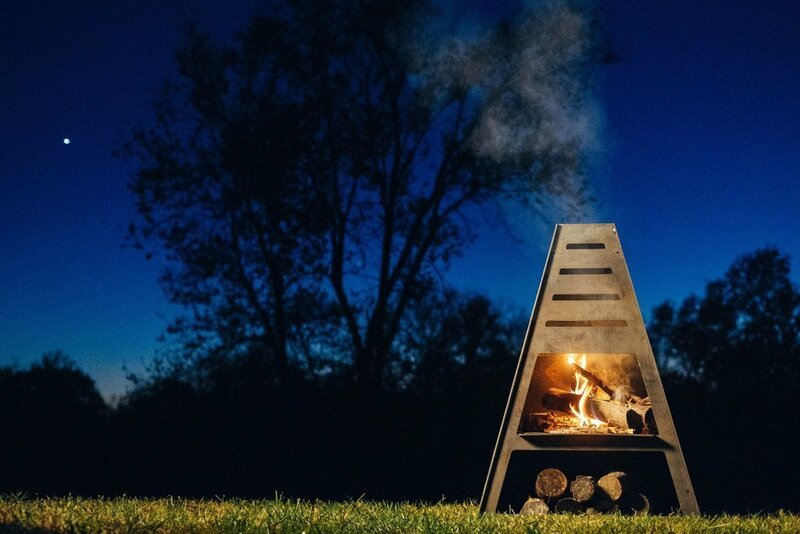 This portable fire pit can also be used to grill your BBQ and marshmallow. So, it’s gonna be a perfect item to have a small BBQ party or S’mores party with your family. Already build a patio? No need to worry. You still can have a cool fire pit by using this portable fire pit. Who says a fire pit only looks great for outdoor area, and not a good idea for indoor area? 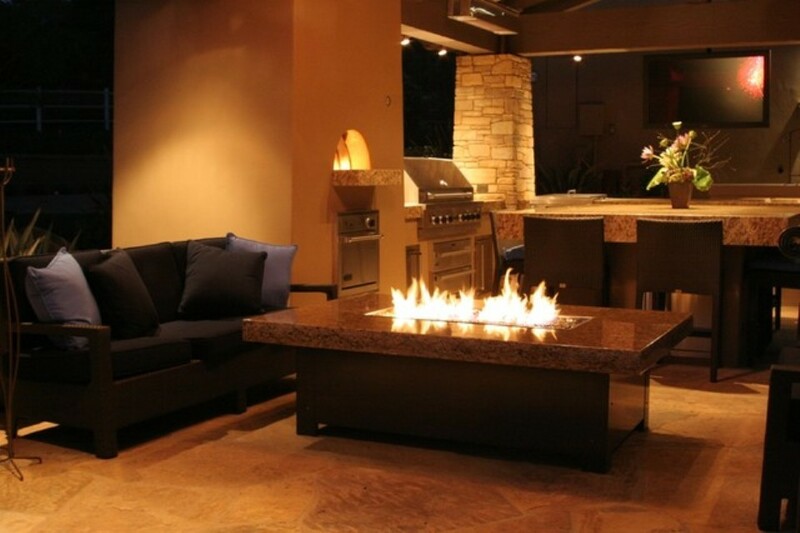 You can follow this idea if you want to have an elegant fire pit for your salon. 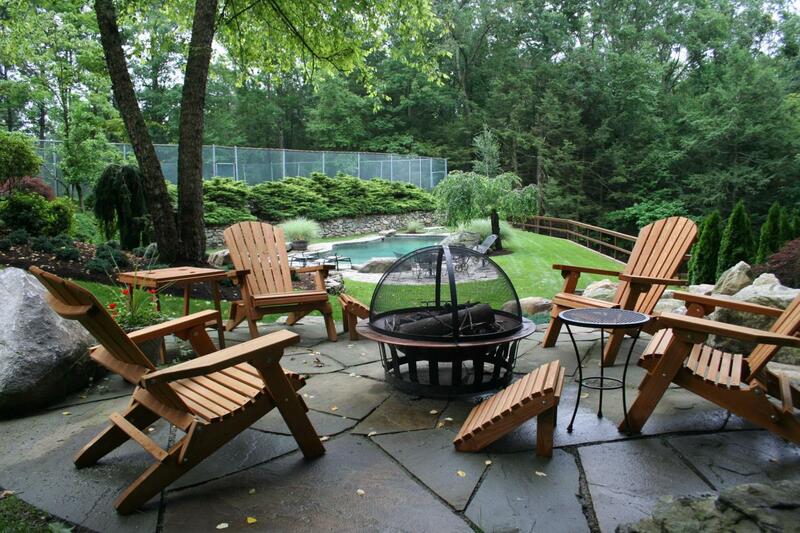 Warm yourself during autumn and winter around the fire pit. You can also have a small S’mores party with your kids. Looks like a great idea, right? 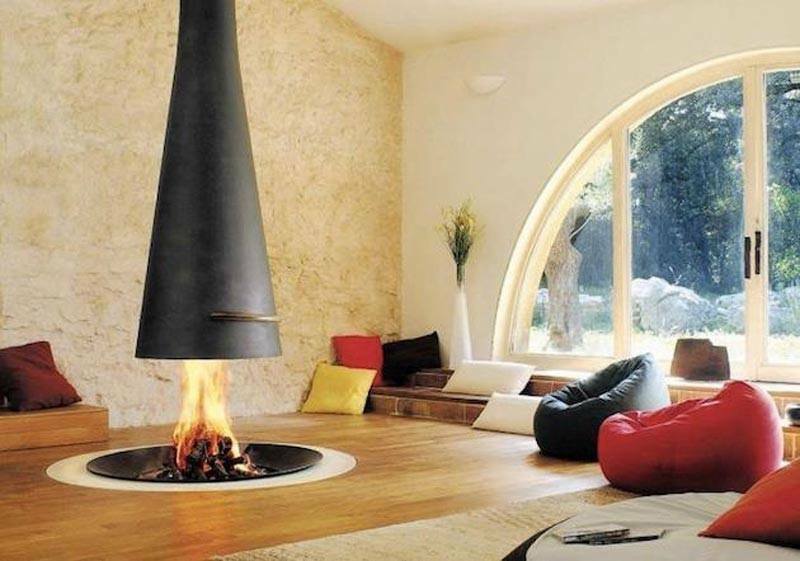 Wanna have this elegant indoor fire pit? Create your own fire pit using a fire bowl. 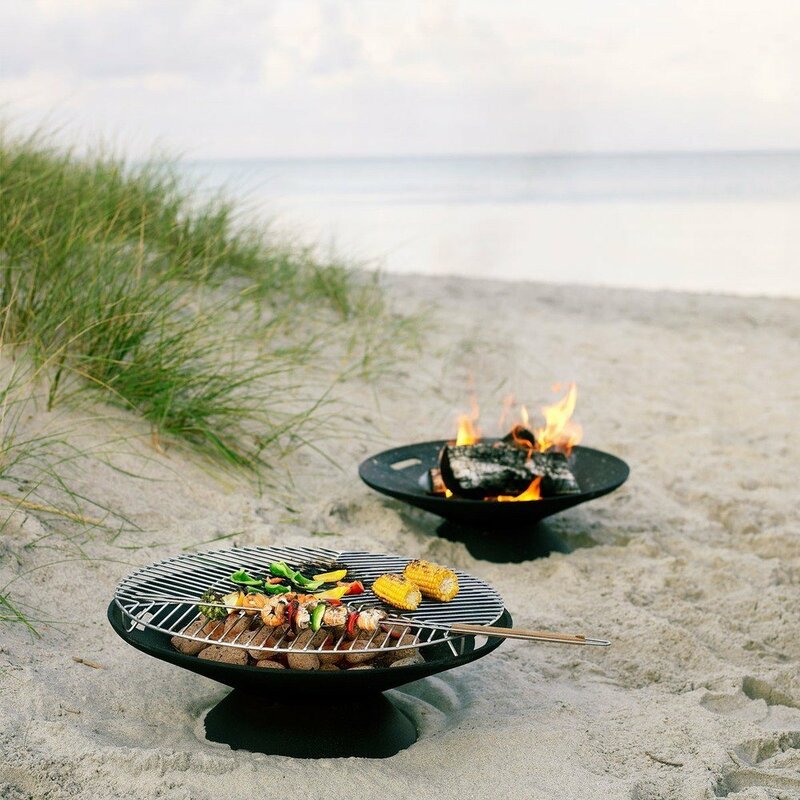 You can also use it as a grill by adding a cooking grate on the fire pit. Since it’s not too big and portable, you can use it wherever you want. Wheter you want to use it for S’mores party outside your house, or wanna use the fire pit to grill BBQ while chilling in the beach. It’s pretty convenient, right? Wanna have one? This fire pit is gonna be a nice decoration for your backyard. The shape is so unique and you can use it to store the woods too. But, unfortunately it maybe cannot be used to grill your BBQ or marshmallow. So, if you want to have a multifunctional fire pit, it is probably not the best choice. But, if you only want to warm your body and want to have a cool fire pit for your backyard, then it’s the perfect fire pit for you. Do you want to have this unique fire pit for your backyard? Cinder block fire pit is not a unique thing, but if you design your fire pit in different way, it can be a unique fire pit. 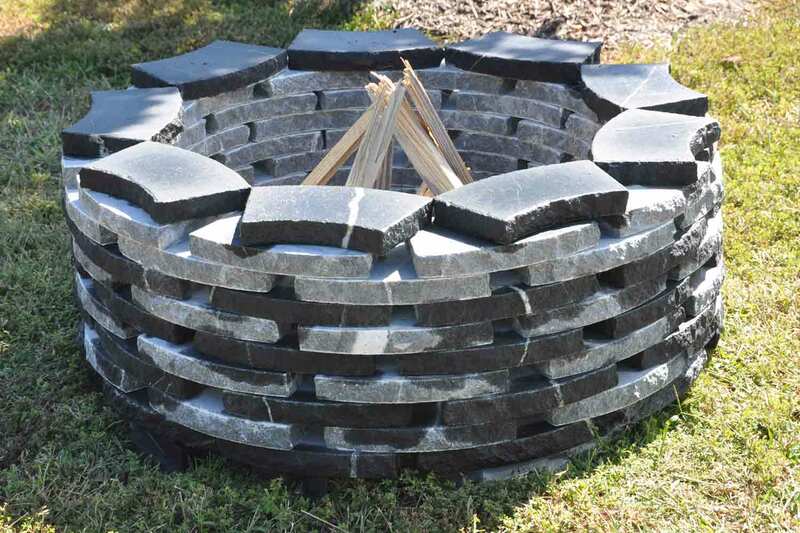 You can follow this fire pit idea and build your own unique fire pit in your garden. It’s gonna be a nice decoration for your garden. This is another outdoor fire pit tutorial for you. You are gonna need cinder blocks or bricks and and a spade. You can follow the steps in the picture. It’s gonna be a nice decoration for your backyard. You can also use the fire pit for S’mores party. So, are you ready to enjoy your S’mores tonight? 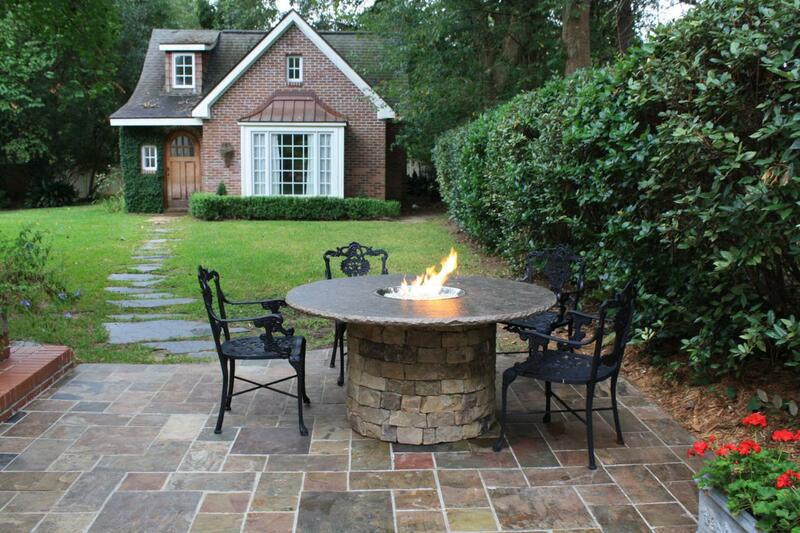 This outdoor fire pit is perfect for people who like countryside style. 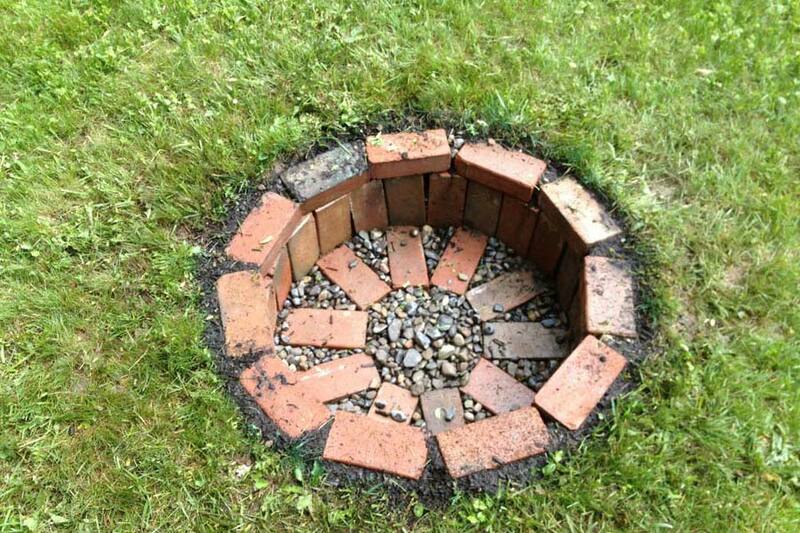 Instead of building in ground fire pit with metal barrel or cinder blocks, you can build a circle fire pit using bricks. You can add a couple of wooden chairs near the fire place. It’s gonna be a romantic place to spend your night with your significant other. Building a fire pit on a patio? It’s gonna be a great idea. 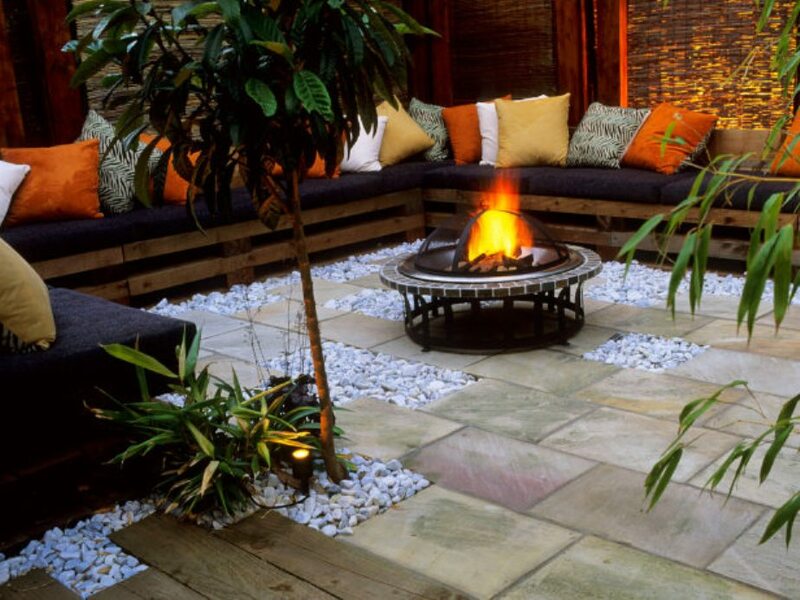 Instead of using the same bricks with your patio, you can use bricks with different color for your fire pit. This fire place is gonna be a nice place to have a S’mores party with your family and friends. 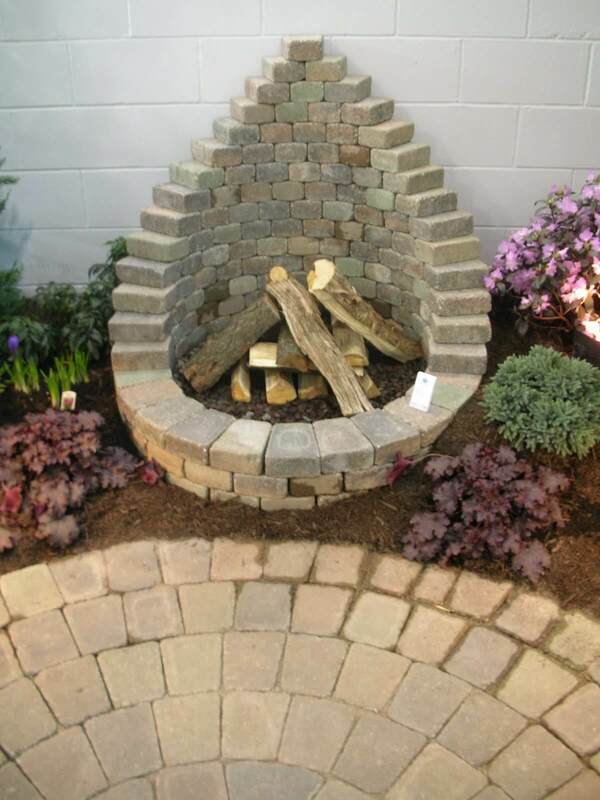 This is another cool brick fire pit for you. The materials are so simple. You just need some bricks, cement, and a fire pit ring. It’s also easy to build. This fire place is gonna be a perfect place to have a S’mores party with your family. So, after the fire pit is finished, you can buy a lot of marshmallows and burn the marshmallows with your kids. Sounds like fun, right? Wanna build your fire pit? Wanna build your outdoor fire pit using stones? Well, you probably need to follow this idea. The step is so easy. You don’t need to dig a hole, or buy a fire ring. All you need is just to arrange the stones. And voila… your fire pit is ready. 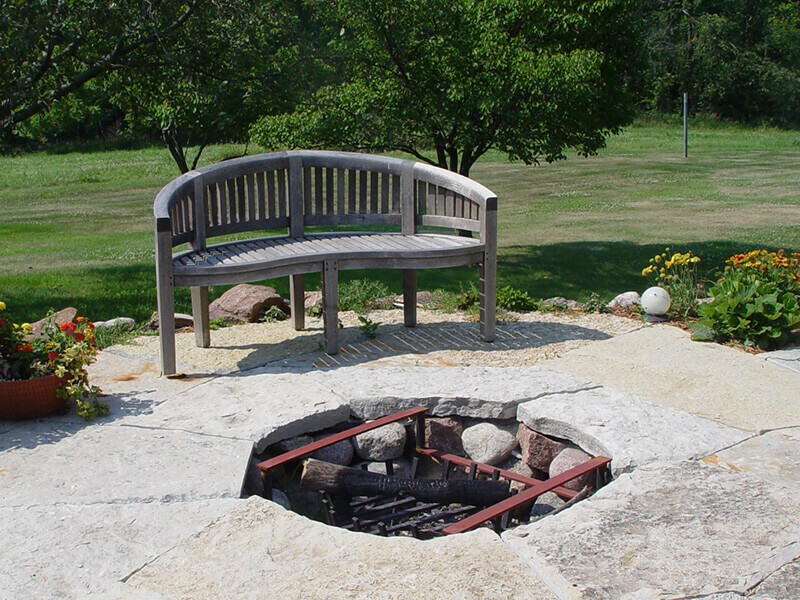 Fire pit from stones looks more beautiful than ordinary fire pits from bricks or cinder blocks. Especially if you build your fire pit in your backyard with lots of grasses. So, do you think you should go with this idea? Wanna build a cool fire pit but only have a tight budget? Well, actually you can build a DIY fire pit with zero budget. All you need is just some bricks and gravels. Just check your warehouse if you have some bricks left inside. 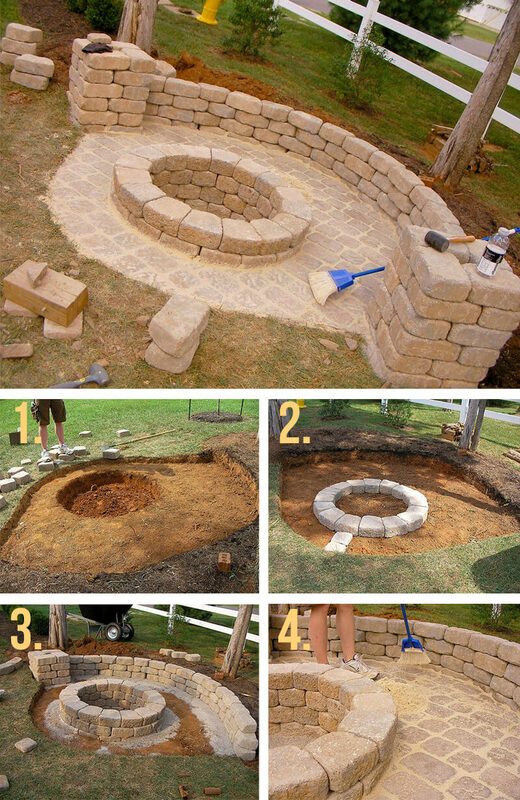 First, dig a hole for your fire pit, then arrange the bricks inside, and insert the gravels. So easy, right? So, wanna try this cheap but cool fire pit idea? 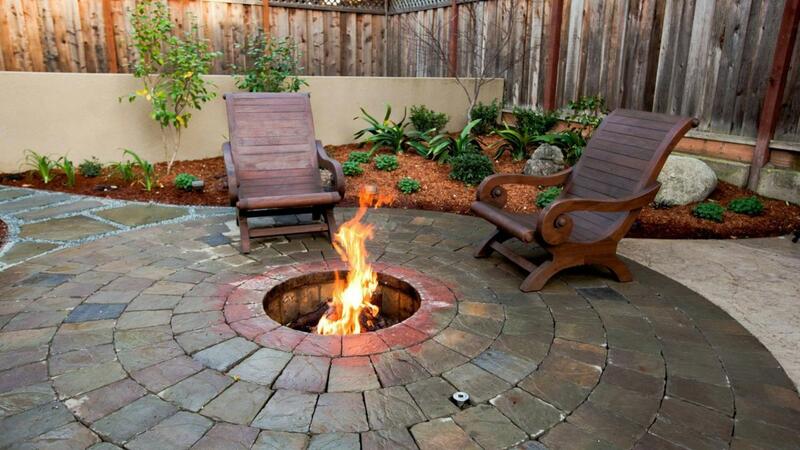 This fire pit is gonna be a perfect decoration for you who want to have an elegant patio. It’s also gonna be a cool decoration for your pool. 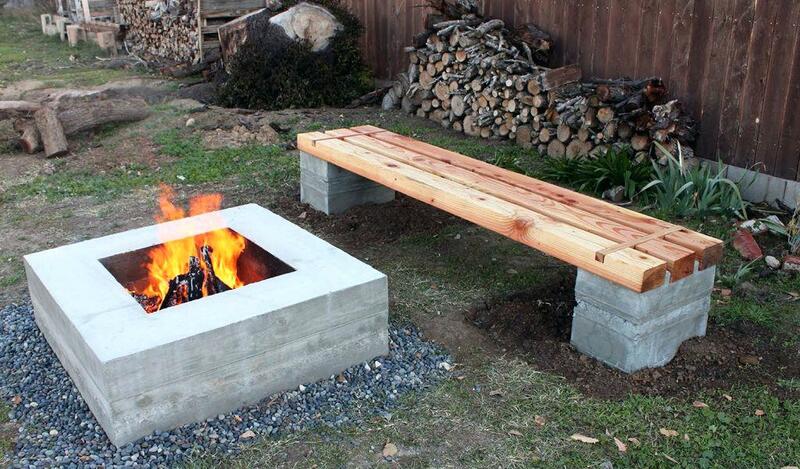 You can combine the patio fire pit table with cinder block bench. It looks great, right? This patio fire pit probably cannot grill your BBQ or burn your marshmallow, but it will give your patio an elegant look. 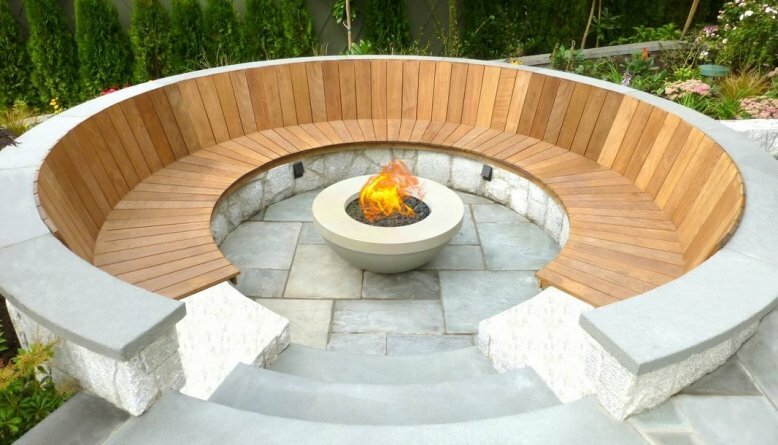 Do you think you should upgrade your patio by building this fire pit table? This small patio fire pit is gonna be a perfect complement for your pool. Especially if you have an outdoor kitchen island in the pool. It’s gonna be a nice place to gather around when you are throwing a BBQ party with your friends or big family. This is another in ground fire pit idea for you. 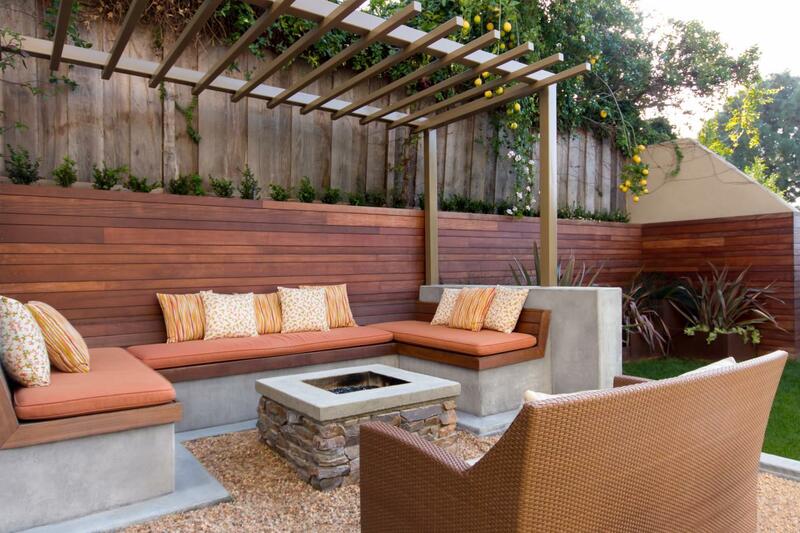 If you have a little garden, this outdoor patio will be great for you. 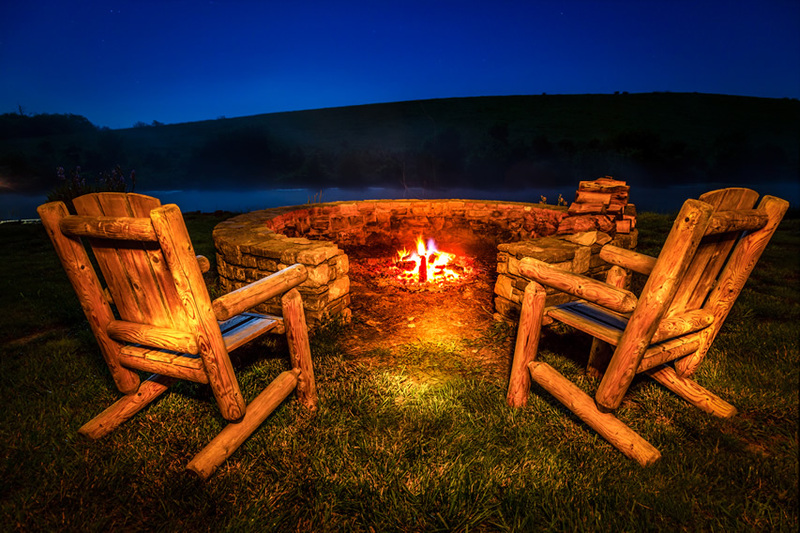 Don’t forget to add a wooden bench near the fire pit, so you can warm your body up and have an intimate chat with your significant other. It’s gonna be a romantic place. Do you think it’s gonna be a good idea for your garden? Do you want a nice decoration for your garden? 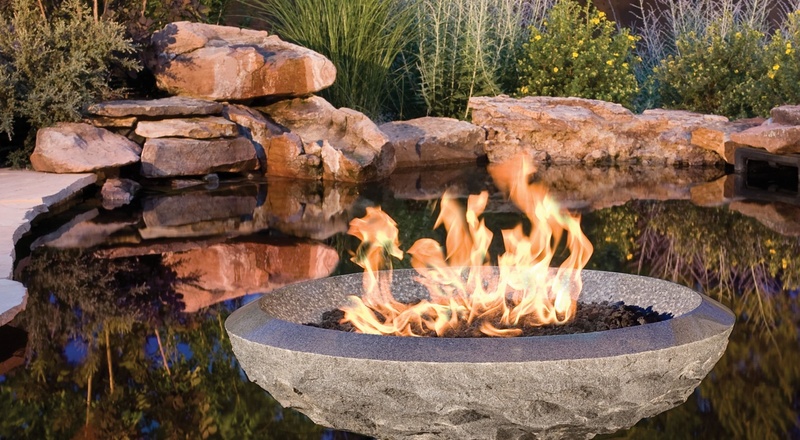 You can make a fire pit in the edge or center of your pond by using a stone vessel. Unlike the other fire pits in this article, this fire pit vessel, the fire on this vessel is produced by natural gas or propane. However, you will still need coals for decoration. It looks beautiful, right? 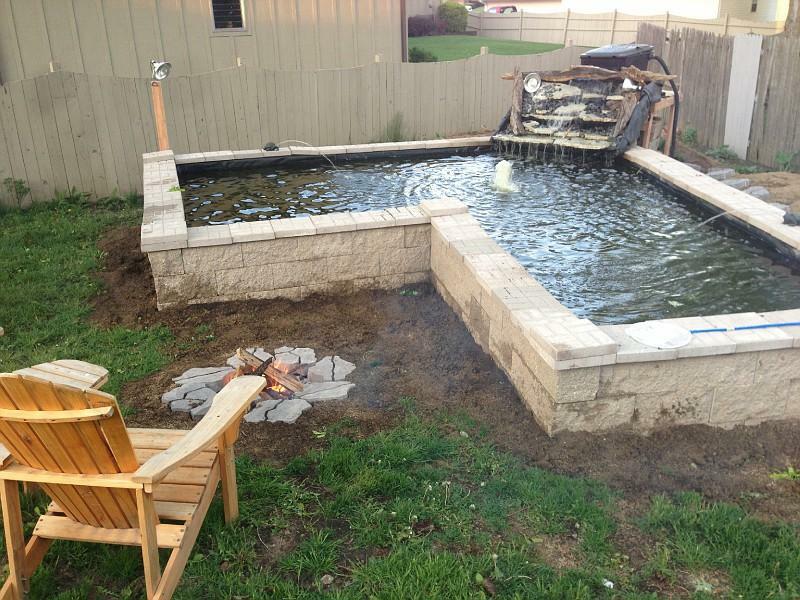 Wanna level up your garden by adding this gas fire pit vessel to your pond? Here is another fire pit from stones you should take a look. You can combine white stones with black stones to create a gorgeous outdoor fire pit. Since you are making your fire pit from stone, you may not use fire ring. It looks great, right? 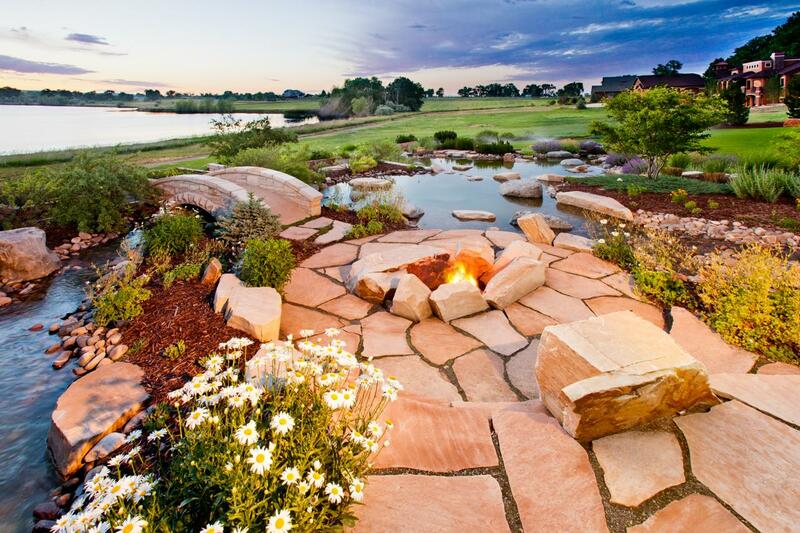 Stone fire pit always looks great for your backyard since it looks natural. So, wanna build your fire pit from stones? Do you have a nice house in the countryside with beautiful garden? 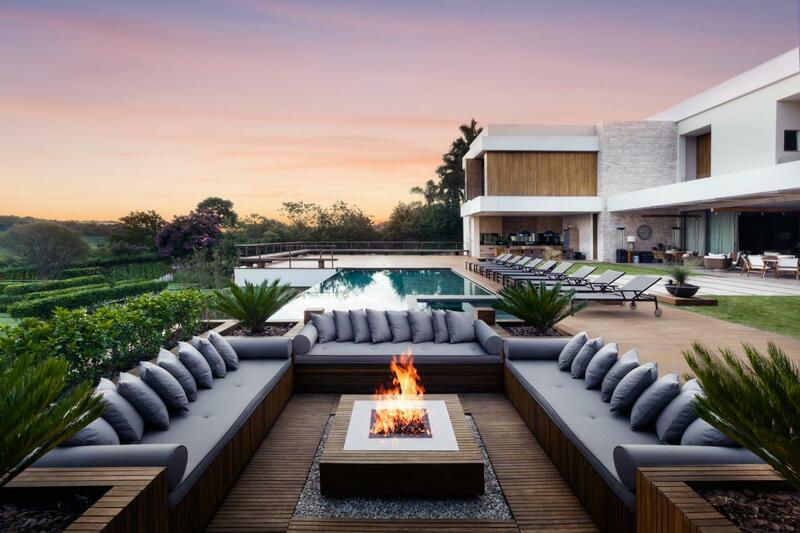 Well, this outdoor fire pit is the best idea for you. You just need to dig a hole and arrange the stones around the hole building a circle, and it is ready to use. So, simple, right? It’s gonna be a perfect decoration for your garden. And a nice place to have an intimate talk with your soulmate. Wanna try this fire pit idea? Fire pit table is not only great for indoor decoration, but also for outdoor decoration. You can follow this idea to decorate your pool with an elegant fire pit table. 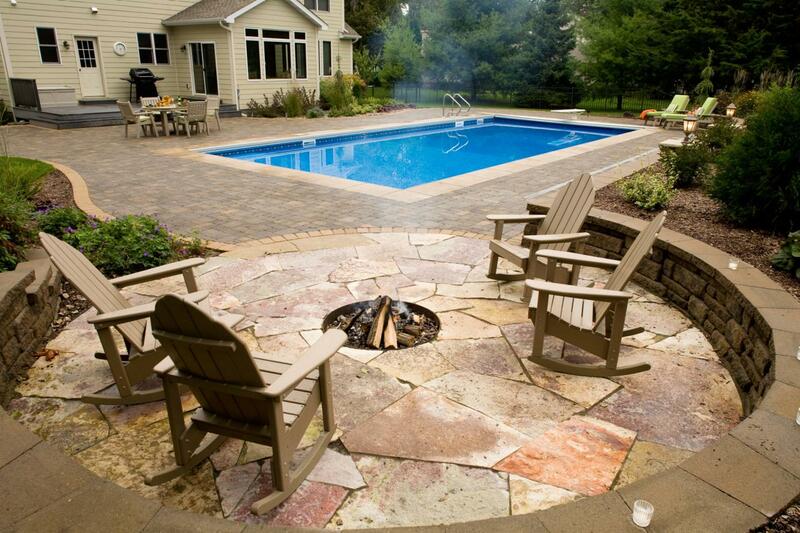 Light your fire pit and enjoy relaxing in your pool. It’s gonna be a nice place to throw a party with your friends and colleagues. So, do you want to try this idea? There is nothing more exciting than burning marshmallow in summer night with your family in the garden and have an intimate talk. That’s why you are gonna need a fire pit in your garden. 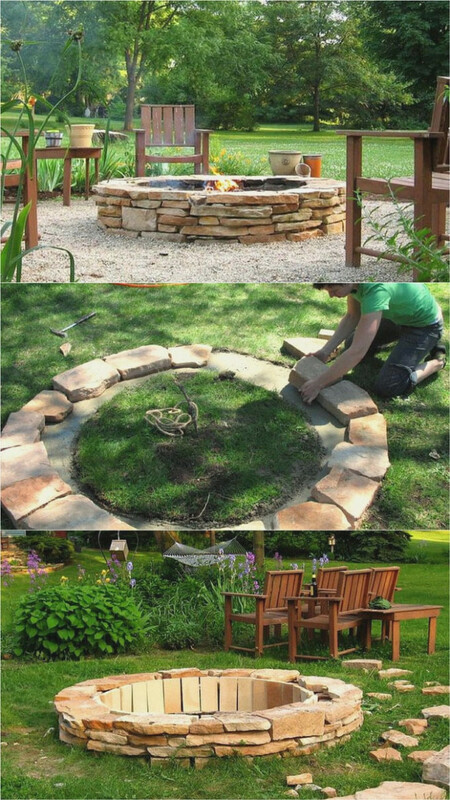 You can follow this fire pit idea and build your fire pit in the middle of cinder block bench in your garden. It’s gonna be a nice place for family gathering. Here is another patio fire pit for you. Build a small fire pit on your patio and create the best place to spend a night chattering with your beloved one while enjoying your marshmallow. It looks like a nice place to chill in a summer night, right? 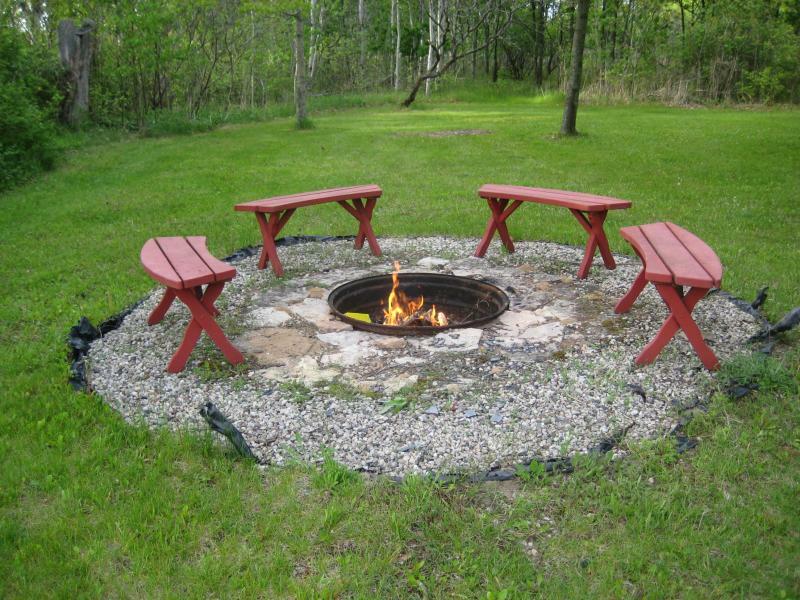 Portable fire pit is the best idea for you if you want to move your fire pit from one place to another place. You can make your own fire pit from fire bowl and place it wherever you want. It’s gonna be a nice item for your garden. What do you think about it? You think you should try this idea? A fire pit table for your patio can be a perfect decoration. 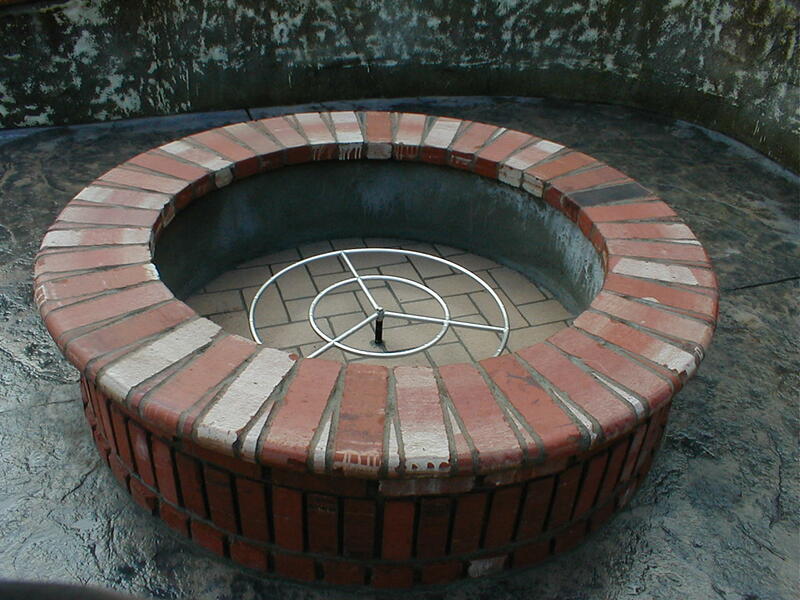 You can build your own fire pit table by using an old metal barrel and cover it with stones or bricks. Then put a countertop with hole on it. Since it’s only gonna be a decoration, you better build a gas fire pit table rather than fire pit with woods to set the fire. What do you think about it? Looks cool for your garden, right? So, that was the list of 30 DIY indoor and outdoor fire pit ideas you can follow. What kind of fire pit you are going to build? Is it an indoor gas fire pit table? 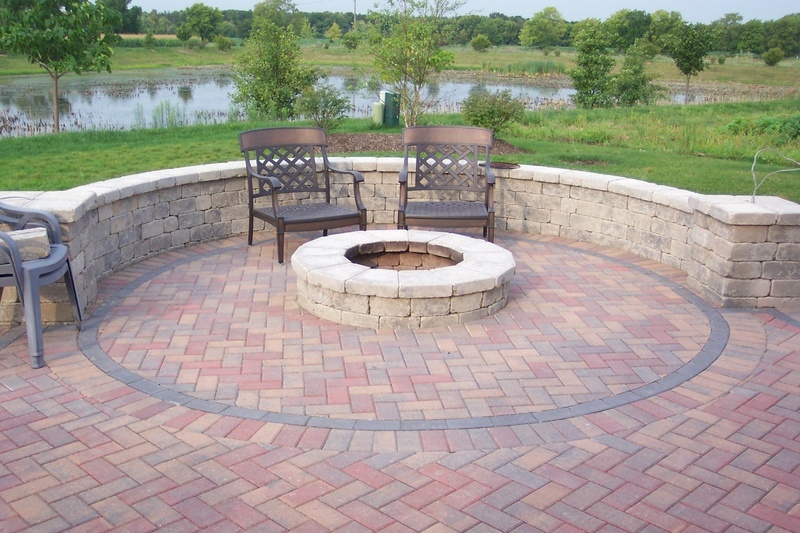 Or outdoor patio fire pit which is built from bricks or cinder blocks? Do share your answer with us in the comment section.